Medicare for all: Does America really want it? 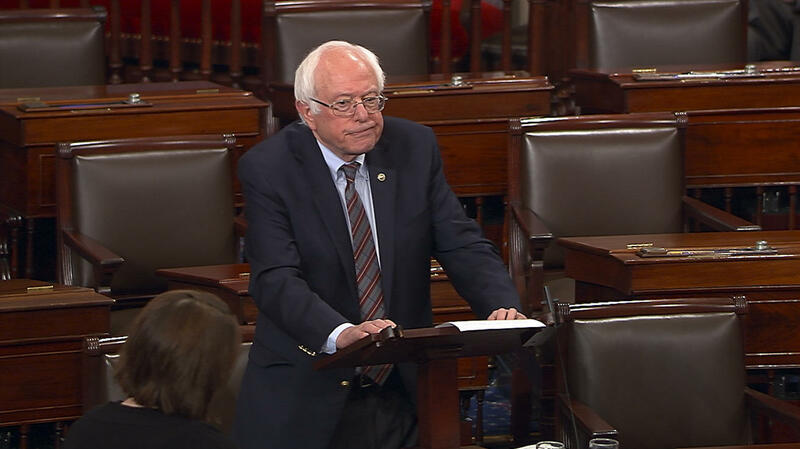 WASHINGTON — Americans are not clamoring for single-payer health care, as Sen. Bernie Sanders suggests they are, in proposing a plan that would have the government foot most medical bills. He's right that support for the idea has grown and in some polls tops 50 percent. But polls suggest that the prevailing sentiment is ambivalence. Sanders' plan, released Wednesday, would have the government finance coverage now paid for by a mix of employers, their workers, public plans and people in the individual insurance market. He's not given details of the likely cost or how, exactly, he'd pay for it. —"You mean because the people in this country want to move toward a Medicare-for-all system, that is divisive? I think in a democracy, we should be doing what the American people want." — AP interview Tuesday, when asked about divisions in the Democratic Party over his idea. —"Guaranteeing health care as a right is important to the American people not just from a moral and financial perspective; it also happens to be what the majority of the American people want." — Opinion piece in The New York Times on Wednesday. The Kaiser Family Foundation reports a "modest increase" in support for single-payer coverage in recent years, with "substantial" opposition. Perhaps most notably, public opinion is "malleable," with support dropping when people are presented with arguments against it that are certain to emerge in the debate. Kaiser's tracking poll in July found 53 percent in favor of having all Americans get their health insurance from the government; 43 percent were against that. Opposition climbed to 60 percent when people were asked to consider that such a plan would call for higher taxes for many. A slight majority also swung against a single-payer plan when respondents were told that former President Barack Obama's health care law would be replaced as a result. Public opinion research also helps to explain why Sanders calls his plan "Medicare for all." Labels matter. People tend to react more favorably to the notion of expanding the popular Medicare program to cover everyone than to the idea of "single-payer" even if they amount to the same thing. —The Pew Research Center in June found 60 percent who believe the federal government is responsible for ensuring health care coverage for all Americans, with 39 percent disagreeing. That supports Sanders' contention that people want health care as a right. But ensuring coverage is not the same as paying for it. Support for a single-payer system registered at only 33 percent in that poll. Many of those who felt the government has a responsibility for making sure people have coverage instead supported a mix of public and private programs.